The blogger had written under the pen name “Niloy Neel” in Istishon (meaning “station” in Bengali) as a member of a Bengali group blog that covered political and social issues. 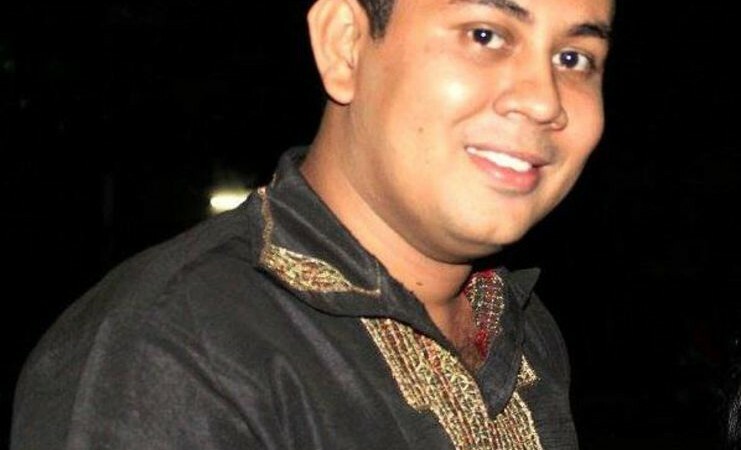 Expat blogger Arif Rahman noted that he completed a Master's degree in philosophy from Dhaka University in 2013. The names of these bloggers and others under threat appeared on a list of 84 people submitted to a special government committee by a group of conservative Muslim clerics who accused the bloggers of “atheism” and writing against Islam. Government officials responded by blocking critical websites and making arrests, of bloggers and leaders from the religious right, at the height of #shahbag protests in 2013. Some media outlets, including prominent right-wing blogs, have even propagated the idea that all bloggers are atheists who “hurt the feelings” of religious Bangladeshis. Eleven of the bloggers on the list (including Niloy) have been killed over the past two years. Bloggers or online writers are being labeled as atheists. Its like taking actions against the killers is the same as taking action against the killer of atheists. To take action against against the killer of atheists is taking sides with the atheists. The government thinks in this way. They are not hiding it. They are saying by their actions “We dont want to be labeled as atheists”. So please unite – or you will not live. Build a platform. Learn to defend. Simply protesting is not going to work. There is no rule of law in the country – so crying aloud won't help.